Mr. Shannon helps corporate and individual clients resolve large, multifaceted business disputes through negotiation, litigation, or alternative dispute resolution processes. He has served clients in nearly every major industry with a particular focus on the automotive and industrial sectors, construction companies, and financial institutions. Mr. Shannon has served as lead counsel in complex matters requiring the management of large litigation teams, dozens of witnesses, millions of pages of documentary evidence, and complex e-discovery issues. 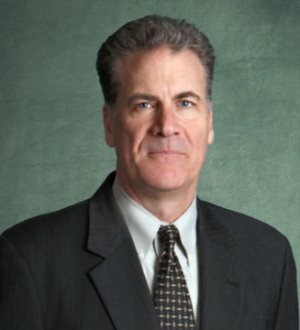 His approach to litigation combines nearly 30 years of courtroom experience, business savvy, and superior communication skills to reach favorable outcomes for his clients efficiently and with minimal disruption to their businesses and reputations. Mr. Shannon chairs Bodman’s Litigation and Alternative Dispute Resolution Practice Group. He is a member of Bodman’s Executive Committee, which guides firm operations and business strategy. He has served in leadership roles with numerous professional, civic, and charitable organizations, including the University of Notre Dame Law School (member, Advisory Board of Directors), Notre Dame Club of Detroit and its related charities (member, Board of Directors), Catholic Lawyers Society (member, Board of Directors), University Liggett School (member, Board of Trustees), and Detroit Bar Association (chair, Litigation Section and vice chair, Circuit Court Committee). He is actively involved in educational causes including organizations that raise scholarships for underprivileged Detroit students. He is an alumnus of Leadership Detroit and was named to the Crain’s Detroit Business “40 under 40” in 1997.Mr. Shannon is active politically and has hosted numerous fundraisers on behalf of local, state, and national candidates. He served on the Judicial Review Advisory Committee to former United States Senator Spencer Abraham. He was appointed twice by Michigan Governor John Engler to the Department of Natural Resources Site Review Board and to the Government Task Force on Importation of Solid Waste.